If you’re being honest with yourself, you’ll admit that the only thing better than Christmas dinner is the mound of leftovers afterwards. Still a bit hungry after stuffing your face all day? Don’t worry about it, there’s plenty more where that came from. Feeling rough on Boxing Day morning? No problem, just raid the fridge for yesterday’s turkey. But leftovers alone aren’t good enough. 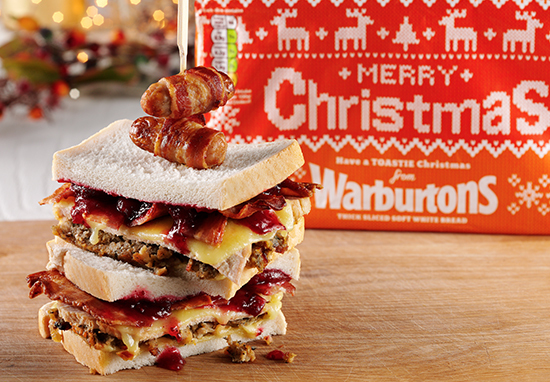 Oh no, you have to make the most of the festive ingredients and put them all in a sandwich. But what exactly makes the perfect leftover Christmas sandwich? Is it turkey? Is it roast ham? Is it, God forbid, goose? Because apparently that’s a thing some people do at Christmas. Who knew? 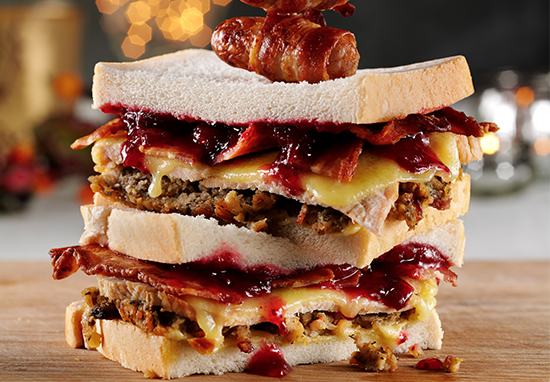 Well, research has found that the perfect leftover Christmas sandwich actually consists of succulent turkey, aromatic bacon and rich stuffing. I’m all ears if we remove the stuffing. It has emerged that once Christmas dinner is over, millions of Brits begin to focus on what can be fashioned into the most decadent sandwich of the year. Thick slices of turkey are the most popular choice of filling, with a generous dollop of cranberry sauce and some salty, crispy bacon. Crispy-skinned chicken, roast ham and beef were also popular choices of meats to fill the indulgent snack. More unconventional fillings such as falafel, roasted butternut squash and avocado also appeared as top choices for the leftover sandwich connoisseur. It is 2018 after all. The Christmas sandwich is a national talking point each year and it’s clear that Brits are particular when it comes to what should and should not be included. So what shouldn’t be included? Unsurprisingly, sprouts are the ingredient most likely to be left out of the sandwich, followed by horseradish and cabbage. Two per cent even admitted to adding some Christmas pudding into their sandwich for a sweet twist. I’m sorry, what? Get me off the planet immediately, I’ve never heard such a travesty. 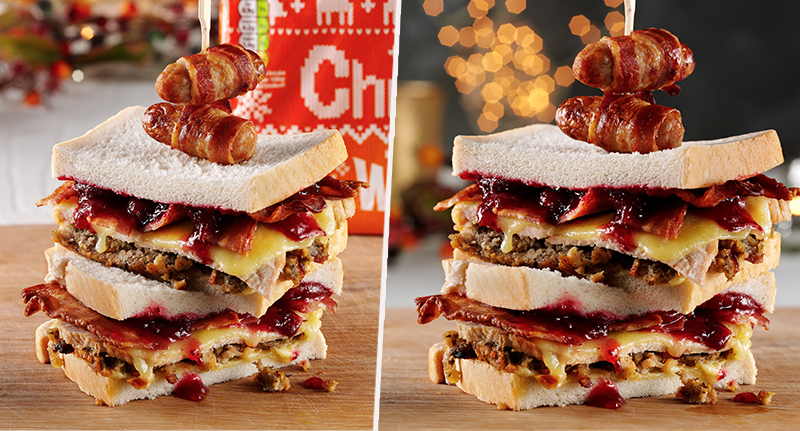 One in two Christmas sandwich-scoffers like to enhance the flavour with a couple of rashers of bacon, while 48 per cent add stuffing. And 37 per cent of festive sandwich-munchers will only chow down on a Christmas sandwich if it’s home-made. Well, yeah, it’s not exactly going to be the same from Saino’s is it? It’s important to get the recipe right, too, as more than a third of those surveyed by OnePoll consider the Christmas leftover sandwich to be the best snack of the year. Correct. And seven in 10 look forward to their first proper Christmas leftover snack on Boxing Day, with ‘Leftover Sandwich Hour’ most likely to fall between 1pm and 2pm. Though the average Brit will make their leftovers last over four sarnies before the Christmas pantry is finally exhausted. Got to get your money’s worth, am I right? During the festive period, our commitment to delivering the freshest bread continues, so whether you have a sweet or savoury inclination, Brits can be assured that Warburtons has the best bread to hold it all together – Merry Crust-mas everyone. And remember: Don’t take your leftovers to work if you want to keep them safe. You don’t want to end up like Ross, do you?